Whether you have been the victim of a break in, have weather damage or just want a new look, door replacement can be a very cost effective way to enhance your home. Many modern doors are more energy efficient and durable than ever before. With an extensive selection of styles and features there is a door for every taste. Modern doors can be made of wood, fiberglass, or steel, each with unique attributes to cater to individual requirements. Hardware, available in brass,nickle or stainless finishes and in a variety of styles, allows each homeowner to customize the look of their door. Other options include glass inserts in full view, half lite, oval and half circle configurations. The glass options can be further enhanced with features like leaded or stained glass and the addition of grids in various patterns and shapes such as beveled glass grids, brass grids, standard flat grids or contoured grids. Additionally there are many other features and add-ons that can enhance the looks and energy efficiency of your new door. All of these options combined make your door replacement options virtually limitless. Wood rot is probably the reason that most door replacement is necessary. In the past it was difficult to maintain a door well enough to prevent the elements form damaging it. Most stock doors still use wood jambs and brick molding that is susceptible to decay, however upgrades are now available that greatly lessen that venerability. One of the best innovations in door construction is the option of using PVC brick molding. PVC looks and feels just like wood. It is sawed and nailed like wood but unlike wood it is impervious to rot and insect infestation. 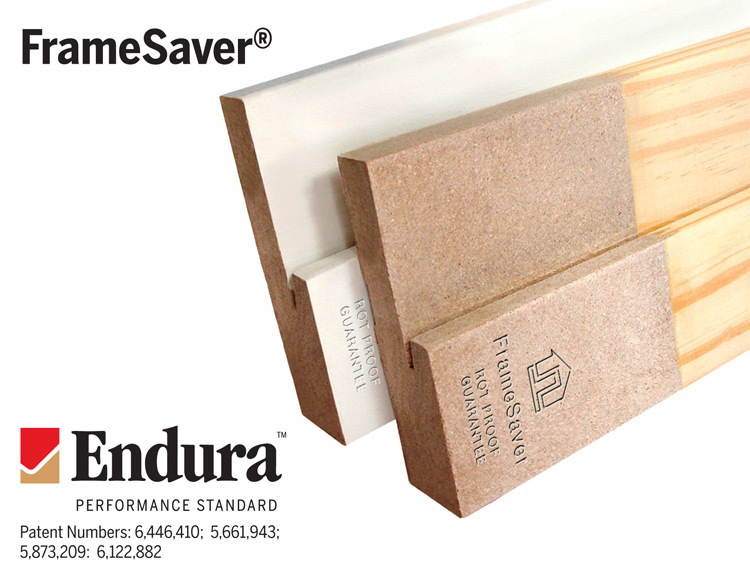 Another equally important option is the “FrameSaver® jamb“. Most wood rot on doors occurs at the bottom of the jamb where it meets the threshold. The FrameSaver® jamb is a patented insert that replaces the bottom section of the door jamb with a composite materiel that is impervious to rot or insect damage. For extreme conditions or those that want the absolute minimal amount of door maintenance, solid vinyl jambs and aluminum wrapped jambs are available on some doors. These innovations enhance the durability of exterior doors so much that WHMS now recommends including them in almost all door replacement projects. Choosing a great looking, energy efficient, low maintenance door is an important part of your door replacement project, but if it is not installed properly you will likely not be pleased with it in the long run. The quality of the installation is as important as the quality of the door. To ensure proper fit and swing it must be installed level and plumb. The quantity and placement of shims, screws and nails determines how secure the door is and whether it will sag over time. How well it is caulked and sealed and the proper addition of insulation between the jamb and frame determines how weather tight and energy efficient it will be. The final step in a quality door replacement project is installing the interior trim and painting or staining the interior and exterior of the door and any adjacent walls or trim that were disturbed in the door replacement process. No matter how good the door or the installation, some areas are more prone to water infiltration than others. 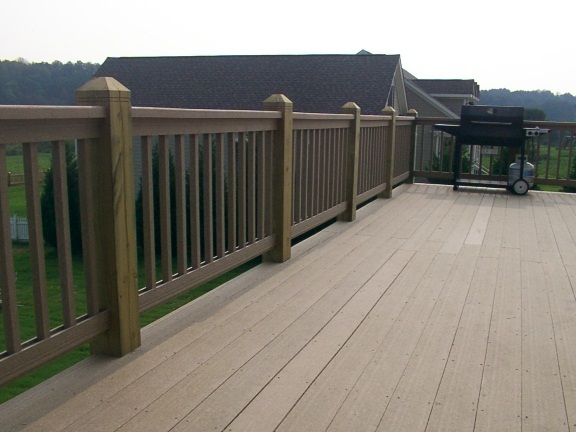 If your door sits low to a deck or patio, excessive water spatter is always a problem. The absence of gutters or a rain diverter over the door, worsens the problem. Proven solutions to consider include installing gutters and even more importantly installing a storm door. Read Storm doors, A good looking investment for your home, for some insight into why storm doors are such a good idea. 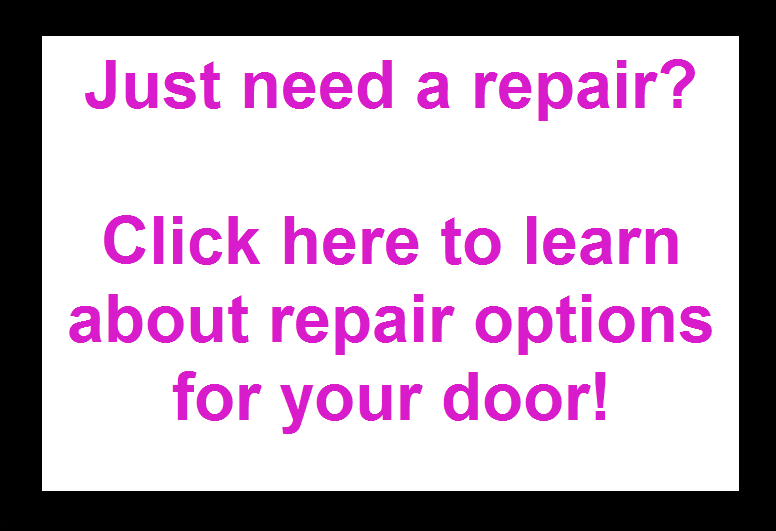 Wood’s Home Maintenance Service provides door repair or door replacement as well as many other maintenance, repair and building services. Contact us now for a free estimate. This entry was posted in Exterior Maintenance, Windows & Doors and tagged Brick molding, damaged wood, door repair, door replacement, doors, maintenance, quality work. Bookmark the permalink.